If you want an investment portfolio, retirement fund and a boat, great! You can get it. But, you’ll need to get your short-term finances together first. That means making a budget and building an emergency fund. We reached out to personal finance expert Angel Radcliffe (@MissRMBA), owner of CAS Consultants, for some simple beginner’s advice. She gave us six great tips that will help any money newbie get the basics right today so you can start investing tomorrow. No matter what your financial goals are, it all starts with building a sensible budget. That way, you know how much money you’re spending as well as what you’re spending it on, and you can start making plans to rein in your expenses and set some of that money aside. If you think you need help building a budget, there are a ton of apps out there (some of which are totally free) that can help you through the process. To start your search, check out our Personal Finance App Directory, where we have an entire section on apps for budgeting. Angel also mentions saving money for emergencies, which is a commonly overlooked part of building your long-term wealth. Starting and maintaining an emergency fund—one where you’re not worried about accruing interest and can easily access the money when you need it—gives your finances a crucial guardrail against unexpected expenses. Without money set aside for emergencies, you could end up dipping into your savings to pay those bills, wiping out all your hard work. And that’s not even the worst thing that could happen. If you don’t have an emergency fund or an investment account, you could end up in the clutches of a predatory lender. An emergency fund will help protect you from unsafe bad credit loans, like payday loans and title loans, which can trap you in dangerous cycle of debt. This brings us to a little principle called “Pay Yourself First,” which is a way to reorder how you approach budgeting. Rather than waiting until the end of the budgeting process to see how much money you can square away, make it your first priority. You’re paying “yourself” just like you’re paying your landlord or your credit card company or your electricity provider. You’re treating your own financial well-being with the importance it deserves. Another helpful tip for managing your budget priorities is to follow the 50/30/20. According to this rule, you spend 50 percent of your budget on “needs” like rent, utilities, groceries, etc; you spend 30 percent of your budget on “wants” like dining out, going to the movies, and new clothes; and you spend 20 percent of your budget on your savings and your investments. Not everyone is going to be able to stick exactly to those ratios. But if you can get your budget close, you’re going to be set-up for long-term financial success. 3. Save Every Way You Can! You know how people say “there’s no such thing as free money?” Well, generally that’s true. But when it comes to an employer 401k matching program, your employer is literally offering you free money. It’s an exception that you should be taking full advantage of. It works like this: Your employer pledges to match any contribution you make up to a certain amount, usually expressed as a percentage of your paycheck. For example, an employer offering a 3 percent match will be matching any funds you put into your account up to 3 percent of your paycheck. That money will accrue interest over time, and while it might not accrue a lot per year, that interest will really add up over the course of 30 to 50 years—just in time for you to start withdrawing funds after you retire. If your employer’s offering matching funds, then do everything in your power to make the room in your budget. It’s as simple as that. Obviously, if you don’t work a job where your employer offers a 401k retirement savings account with matching funds, this won’t apply to you. But for those of you who do, this advice is a must. 4. Make your money work! It’s important that you take care of your emergency funds and your cash flow before you worry about investing. Failing to build up those funds or forgetting to pay a bill on time could lead to immediate financial trouble. It could negatively impact your credit or even lead to you taking out one or more sketchy no credit check loans from an unsavory lender. Make a schedule that lets you know when all your bills are due. Set reminders on your phone and on your digital calendar. Better yet, automate your bills through your bank’s online portal. That way, even if you forget to pay a bill, it’ll still get paid. Cash flow is all about having the money you need when you need it. If you have too many bills that are due during a single period try calling your lender or utility company and arranging a new due date. Most of them will be happy to help you, especially if you have a good payment history. Once you’ve built up your savings to account for unforeseen expenses, look at diverting some of those funds towards investments or see where else you can tweak your budget to free up additional monies. If you’ve gotten this far into the process, you should already be a budgeting master. As Angel advises, look to contribute an additional one to five percent. While you could put that money directly into your 401k, most financial advisors will tell you to invest it elsewhere. 401ks are great for getting those matching funds, but their lower interest yields mean that your additional money might be more useful elsewhere. If you’re already maxing out your matching funds or your employer doesn’t offer a 401k, you should look at opening an individual investment account or IRA. The yearly contribution limit for an IRA is $5,500, or $6,500 for people over 50. Depending on the type of account, you can either contribute money post-tax or you can use pre-tax dollars which you’ll then pay tax on when you withdraw the funds down the road. Another option besides an IRA is to invest in stocks. You’ve budgeted, built up a savings, and gotten your arms around all your bills and expenses. Excellent! You are now in the enviable position to be able to invest some of your income. This is great news! But make sure your expectations are realistic. Angel cautions that we should, “Understand investing is a risk and may not always be a reward.” This is especially true when it comes to investing in in the stock market. When you are making an investment or buying stock in the company, you are doing so with the expectation that your investment will grow. However, there is always the chance that your investment won’t yield any results at all. Even relatively safe accounts like a 401k or a Roth IRA or a pension are subject to changes in the stock market. Remember in 2008 when the stock market tanked and all those folks had their retirement savings decimated? Hopefully, we won’t see another crash like that in our lifetime, but it’s certainly possible. Investing can come with great rewards, but that’s only because it also carries risk. Remember that. Check with your bank or credit card companies to see if they offer any free sessions with an advisor. You can also look for local programs in your community. Once you’ve found someone, make sure to check online to see whether or not other people have had a good experience. Even if you have to pay for a session with a financial advisor, it could still be a very worthwhile investment. Make sure you come in prepared, ask a lot of questions, and help them help you get on the path to a brighter financial future. What questions do you have about getting to the next financial level? We want to know! You can email us or you can find us on Facebook and Twitter. Angel Radcliffe, (@MissRMBA) MBA is a Public Speaker, Author, Motivator & Entrepreneur. 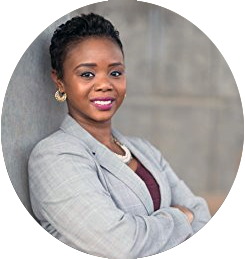 She is the owner of CAS Consultants, a boutique consulting firm in Dallas, TX focusing on ‘Empowering Entrepreneurs Through Financial Management’. Ms. Radcliffe is a recipient of the National Financial Educators Award & is dedicated to educating the community on Financial Literacy – Credit & Budget Management for Consumers & Small Businesses.